I just saw this photo on the interwebs, not sure if it's fake, looks pretty real to me. 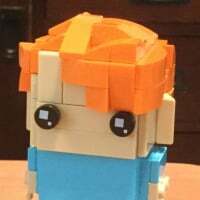 @Huw if Lego doesn't like this being posted or if it's already been posted please feel free to take it down. this series looks pretty cool! 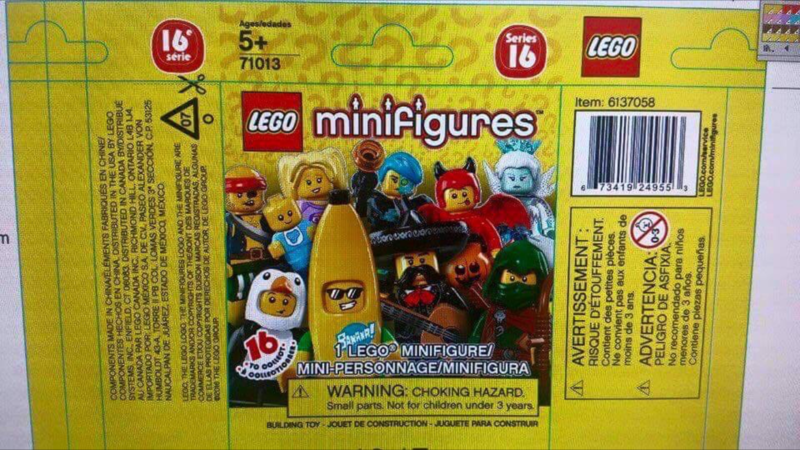 I like that the baby mold is coming back, but the big print on the banana suit is a bit disappointing. 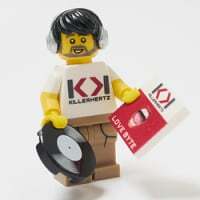 Is that a proper baby minifig? Awesome! ^ Yes, it looks similar to the one in the #60134 - Fun in the Park, but obviously in a new color and print. That mold is going to see a lot of use in the future. If that image is legit, that looks to be another strong lineup. Some great figures there. Will be doomed to buying many of them I'm sure. That'll be a slippery fighting force! That pic seems to be legitimate. The existing thread also has a full list for the series. I request a merger! Pleasw merge the disparate CMF 16 topics together. Looks brilliant, can't wait for the costumed characters and the devil and ice queen look amazing. 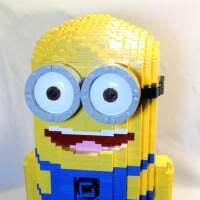 We are not supposed to be posting this - if Eurobricks doesn't allow it (which they don't) Brickset won't. There is already a S16 thread too! Where the picture come from? The graphics designer? Did the graphic designer leak this picture? That's a graphics program, Aye? Who's handy work is this? Wasn't a similar leaked picture added them removed before? Can we see that packaging in pink? Brown? I think the graphic designer, yes. I wonder if he was fired. ^doubt it. I just look at that picture and see a whole palette of pastel colors to choose for the wrapper and yet...yellow...again. I see two shades of pink and Easter egg purple. Why not give those colors a go? Likely it was leaked from the manufacturer not the designer. They'd have to send the image file to the manufacturer to print the actual wrappers. 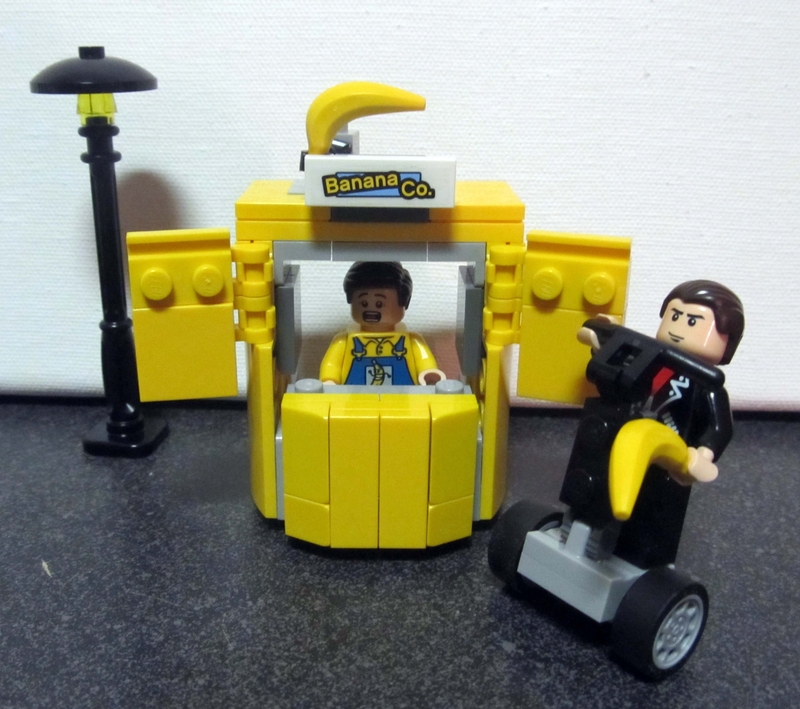 I can't wait to get that banana suit guy...I've been rewatching Arrested Developement lately and thinking about building a banana stand. 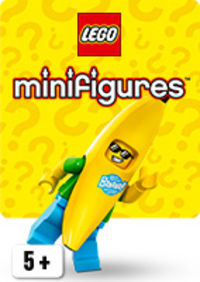 At least the banana suit guy should be easy to feel in the packet, although this usually means that they go first. 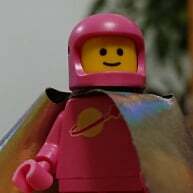 Anyway, I'm not reading this thread anymore as I have only just got over the fevered rush of getting the Disney CMF's. Is one of those figures a teenage mom? 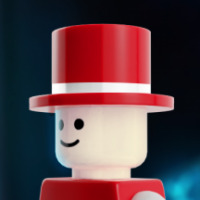 ^Why does this guy look so scared? The kind of scared that you get when a giant gorilla is behind the left shoulder of the photographer and is about to destroy your banana van banana stand. Or maybe he has seen that the segway guy is revesing after his purchase (and away from the giant gorilla of course) and something is about to go down off screen to the right. @Shib Can the June building competition be to build to the offscreen shenanigans to this build! Like a Wasgij.